With golf rounds being played expected to increase off the back of the Ryder Cup and Rory McIlroy’s incredible season, Visit Kent couldn’t have picked a better time to launch its dedicated golf website – www.golfinkent.co.uk. It is hoped the new dedicated website will put Kent firmly on the international map, alongside some of Great Britain’s other golf hotbeds, such as England’s Golf Coast (Royal Liverpool, Royal Birkdale and Royal Liverpool and St Annes), the Atlantic Links (Royal North Devon, St Endoc and Trevose) and of course the Home of Golf (St Andrews, Kingsbarns and Carnoustie). The courses in the Garden of England certainly live up to the billing, with Open Championship venues Royal St Georges (14 times including most recently in 2003 and 2011), Princes (1932) and Royal Cinque Ports (1909 and 1920) all within a few miles of one another. There’s also some top quality inland venues that can be taken in enroute to the championship links, like Sir Nick Faldo’s Chart Hills and Jack Nicklaus’ design at The London Club, whose International Course hosts the Volvo World Match Play Championship in October. As well as potential society and club trips, it’s also hoped the new website will attract international guests looking for world class golf within convenient reach via the Eurotunnel, Eurostar, the port of Dover and, of course, London’s many transport links. Talking about the new Golf in Kent website, Head of Development for Partnerships & Funding at Visit Kent, Cheryl Parker told GM: “The creation of the new site is part of Visit Kent’s ongoing strategy to build on the county’s strong golfing legacy and capitalise on the recent successful staging of The Open Championship at Royal St George’s in 2011. “Golfinkent.co.uk has given the county a much needed showcase for its first class golf offering that goes back over 100 years and boasts a trio of Open Championship venues, traditional links layouts and some notable lowland and parkland courses that make it one of England’s most attractive and diverse golfing destinations. Alongside the main attractions that will draw the eye of visitors, Kent also has a host of hidden gems by celebrated designers such as Harry Colt and James Braid, as well as numerous less testing courses set in glorious, undulating countryside that can be enjoyed by golfers of all levels and families looking to play together. Complementing the golf, county houses, cultural and historical attractions, gardens and beaches, alongside a range of good quality accommodation are perfect for travelling golfers. Weekend breaks and longer golf tours from two to six days can also now be easily booked directly through the new website, with tailored packages available. 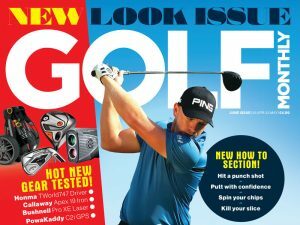 For more information visit www.golfinkent.co.uk and follow @GolfInKent on Twitter.